My wife Renae and I have been married for 24 years and have three kids. 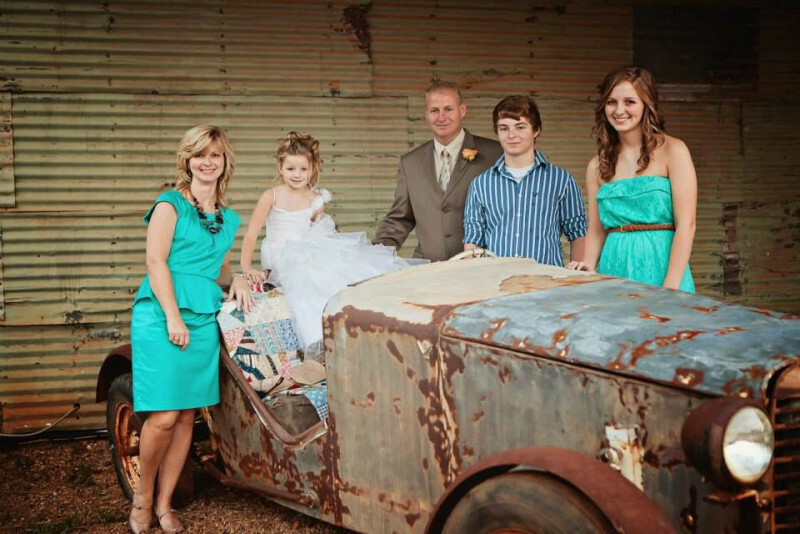 Our daughter Lindsey is 20, our son Drew is 16 and our youngest, Jessi, is 4 years old. We love spending time with each other and enjoy camping, fishing and hunting as well as Church activities. Renae and I both grew up on farms in Hart County Georgia and appreciate the value of hard work and simple living. Our wonderful God called us into the ministry in 1998 and we have followed His leading since that time. We've discovered the faithfulness and power of our glorious Savior during our time in ministry and know that even greater things are ahead. I am currently enrolled at Luther Rice seminary in Atlanta Georgia via distance learning and as time allows, working towards a bachelor's degree in religion, as well as have a certificate of completion from the School of Biblical Evangelism. While realizing the value of time honored tradition in the Church and embracing biblically sound doctrine, we hold the belief that our God is a very creative God who spoke to men throughout the ages in a variety of ways in which they could understand. Our God never changes but our methods certainly should. It is because of this that we are excited about the future of Bethel E. We are trying different methods in ministry in order to see Christians grow and others come to the saving knowledge of Jesus Christ. This is done through outreach, as well as vertical worship in song and biblical preaching. We realize and make a big deal out of the power and presence of God through corporate worship, as well as encourage each other to live a life of worship. We would love for you to come be a part of our body of believers and join us as we engage God as well as embark on what God has in store for us in the future.